At 3:00 pm on November 12, 1918 the Republic of Austria was proclaimed from the steps outside Parliament in Vienna. 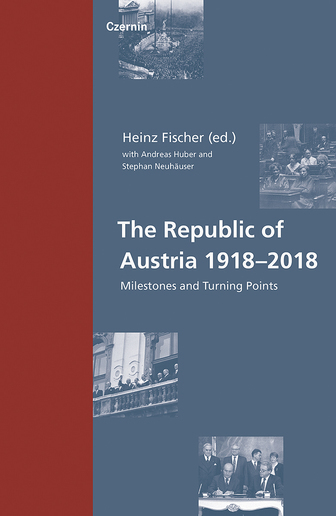 This edited volume celebrates the centenary of the republic’s foundation with a succinct rendering of Austria’s history between 1918 and today. Encompassing an entire century, this sweeping vista takes in milestones and turning points, from the proclamation of the republic to the so-called “Anschluss” with Germany; from the Prague Spring to the occupation of the Hainburg Au and Austria’s accession to the European Union. Paying tribute to the republic’s anniversary, twenty-three renowned historians turn a spotlight on the past and so provide us with a new perception of the present.